Earlier this week, we had the opportunity to interview one of our favorite people, Bishop203. A first-rate artist who’s been hitting a range of surfaces from abandoned factories, freight trains and walls to black books and canvases for years, Bishop203 is now the owner of Low Brow Artique, a superb space at 143 Central Avenue in Bushwick. When did you first conceive of opening a business? It was something that had been in the back of my mind for quite awhile. But growing up, I’d always wanted to be an art teacher. I hated school, and I failed all of my art classes. Actually, I failed just about all of my classes. And when my friends went on to college, I stayed behind for two more years and then graduated to painting freight trains. And how did Low-Brow Artique – one of our favorite spaces – come to be? 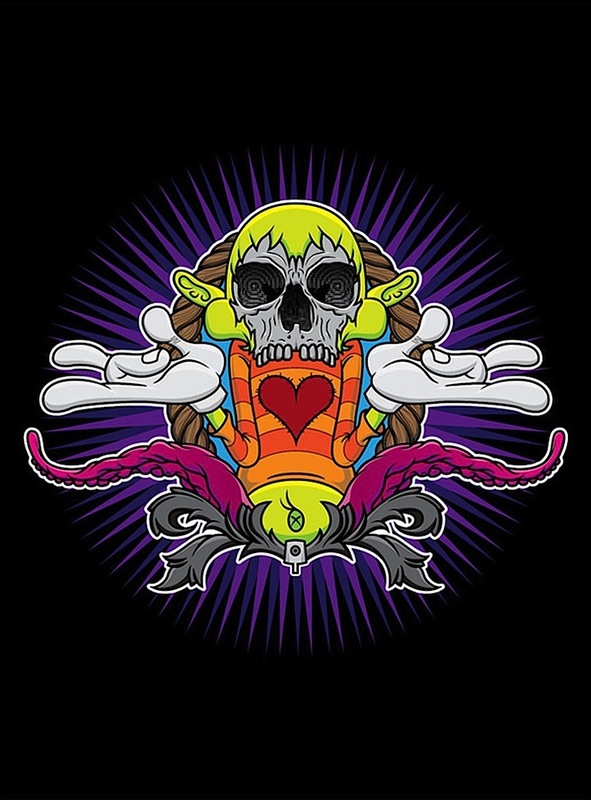 About a year and a half ago – soon after my father died – I thought to myself, “I’m not doing anything much with my life, so why not open a business related to what I love?” But I didn’t have a business plan or anything. At first, I thought I would open an art supply store, but I wasn’t sure I had enough knowledge to do so at that point. And so I decided to focus on graffiti supplies, as I knew enough about hooligans to run a business catering to fellow hooligans. 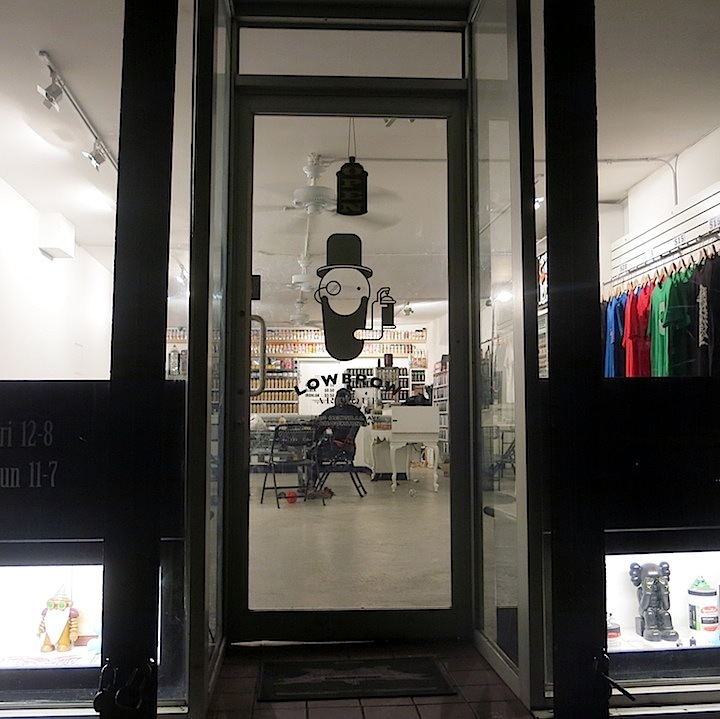 What made you decide to set up shop in Bushwick? I felt there was a need for it here. 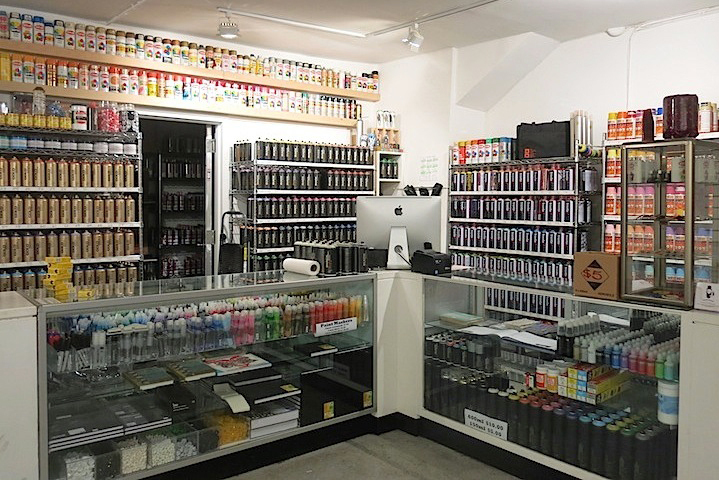 There was no other outlet for graff supplies in my neighborhood, and with Joe Ficalora, the curator of the Bushwick Collective, making so many walls available to artists coming here from all over the world, the local aerosol art scene was booming. 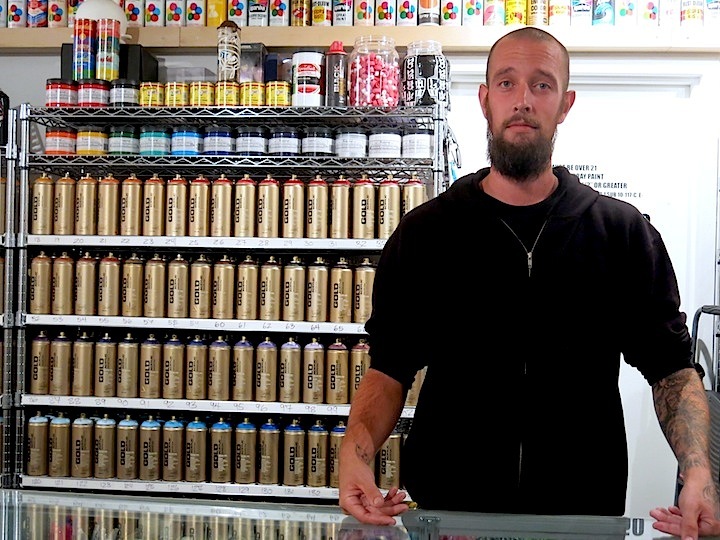 We notice you have just about every brand of spray paint here at really good prices. There are also markers, pens, black books, a variety of hand-printed and home-made goods, and t-shirts. What else is available? 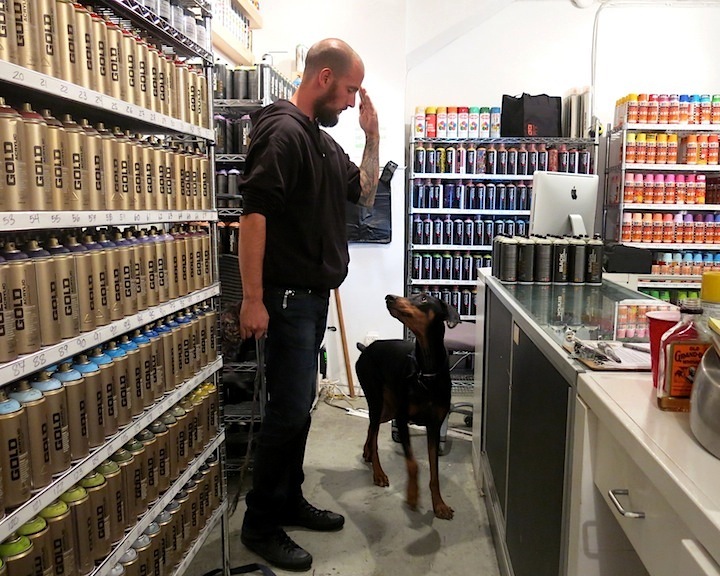 Canvases, wood panels, screen print supplies, Liquitex paints, Krink and much more. I’m also about to start stocking Montana 94. 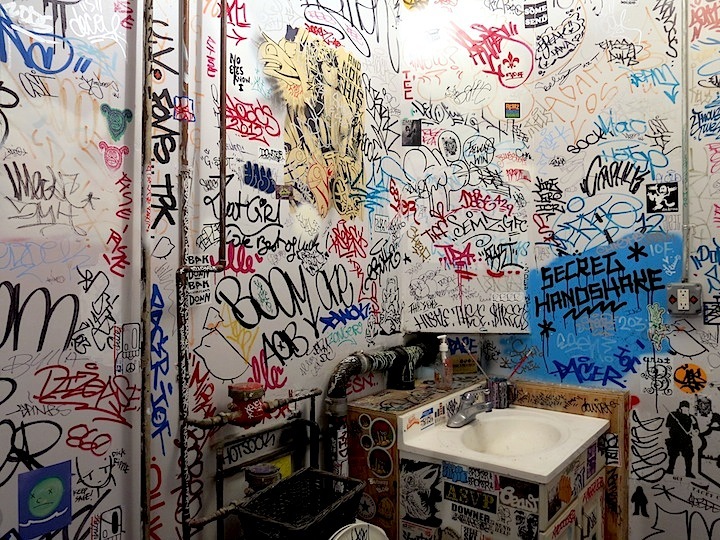 And your gallery has become one of the most popular graffiti/street art venues in NYC. Tell us something about that. I love it. It gives me the opportunity to showcase my favorite art. And it was especially wonderful for me to recently feature my dear buddy Bisc’s work. Bisc and I go back years, and his show was my most successful one. It was epic. What are some of your goals for Low Brow? Where would you like to see it go? I love teaching the young bucks of the next generation. I can see myself giving formal classes here. And I want to help up-and-coming artists achieve their dream by exhibiting their work.. That, perhaps, may be my greatest legacy. How do folks find out about your space? It’s word-of-mouth. The graffiti world is small, and everyone wants to be up on the latest news. And what about your artwork? We see it regularly at 5Pointz and in this part of town. What’s happening with it? Well, for the most part, it’s taken a back seat to what’s happening here at Low Brow. But I’m ready to step up my game, especially when it gets too cold for much to be happening on the streets. And just this week, I was delighted to have a print released by my fellow hooligan, Bisc, who in collaboration with his partner at Daylight Curfew, has begun a monthly print series. What do you see as the future of graffiti and street art? I see it as just getting bigger and bigger. Just check out what’s been happening down the block. great interview! totally gets the spirit of the place, love this shop, best array of paint I’ve found by far.